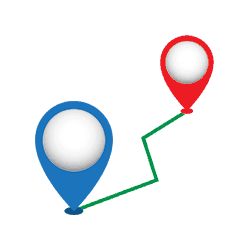 Ever been lost trying to find your lecture or meeting room? 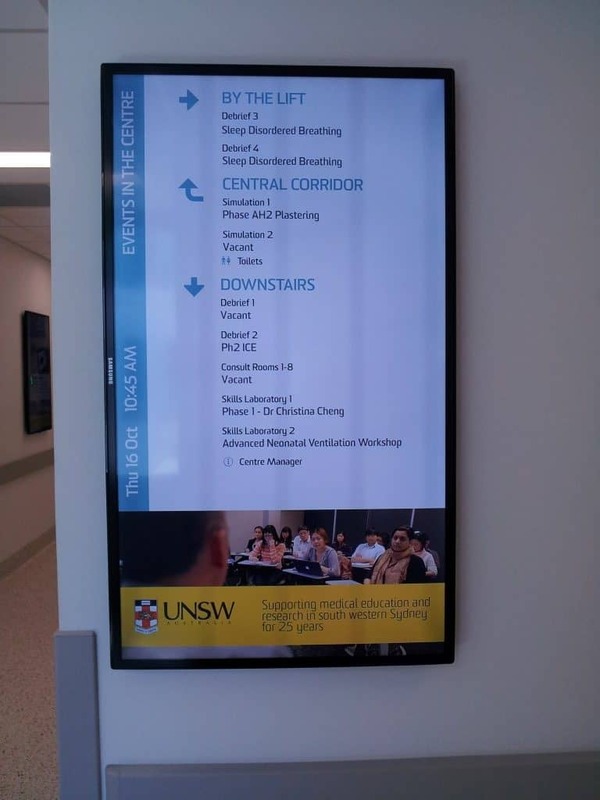 We’ve helped guide students and visitors at the The University of New South Wales at the Clinical Skills Centre in Liverpool Hospital to their destination by using Digital Wayfinding Solutions. 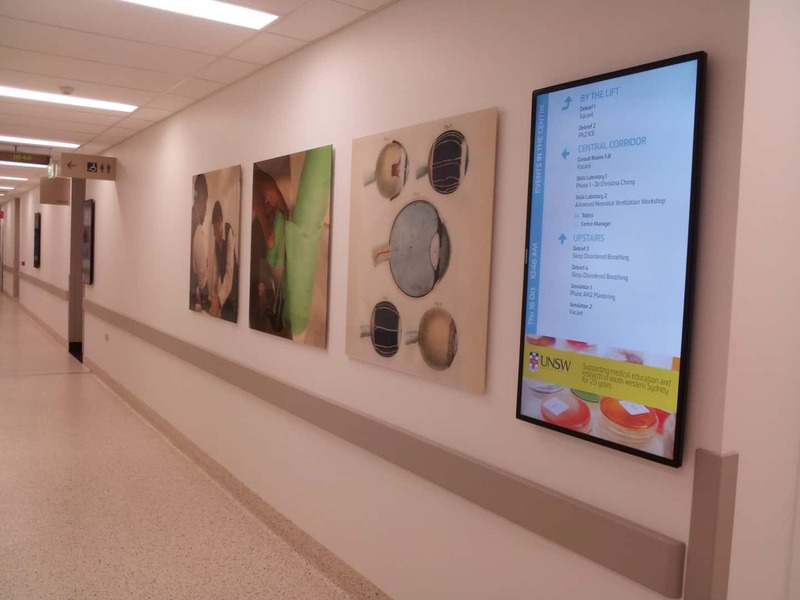 The Digital Wayfinding solution was integrated with a system called EMS (Event Management System) to display event information for each room. The Digital Screen displayed the direction of the room and the name of the event. 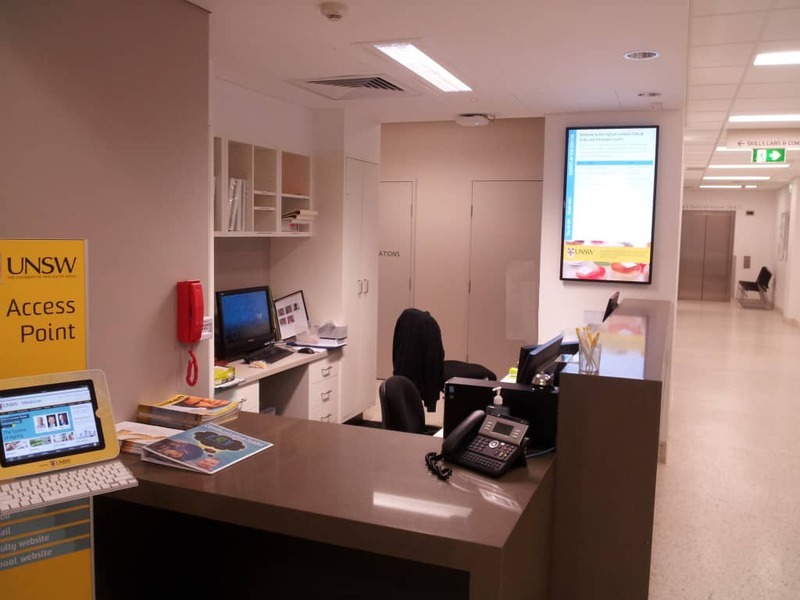 The reception area is the first point of contact for students and visitors. A Digital Wayfinding Screen was strategically placed in this location to guide quickly show them were to go. 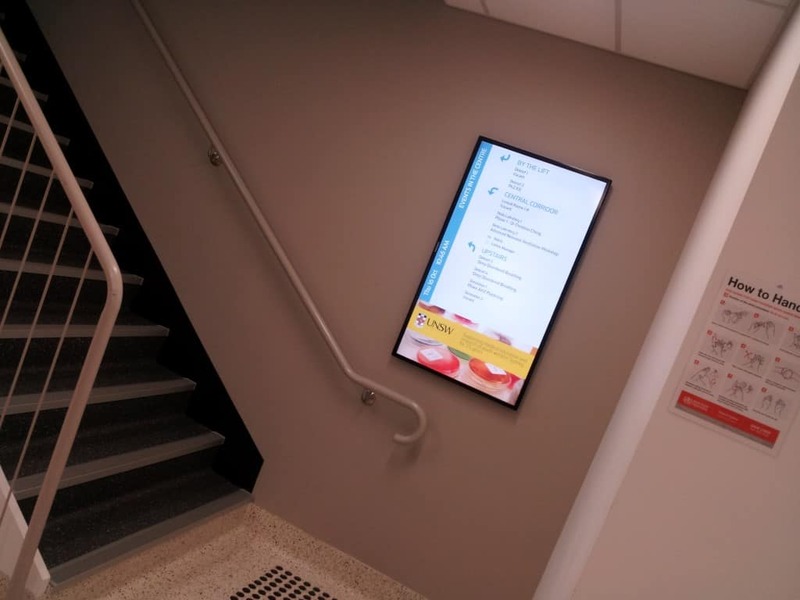 The client also decided to place a Digital Wayfinding screen at the stairway to help visitors and students decide whether they should go up a level or not based on the events taking place at each of the rooms. Were you ever lost at a corridor? This is another perfect location for a Digital Wayfinding screen.